If you’re a seller on itch.io with multiple games (or sales/bundles) you now have a new page that lets you see and export the aggregated purchases across all of your projects. You’ll find a new purchases tab below the header of the My games page. 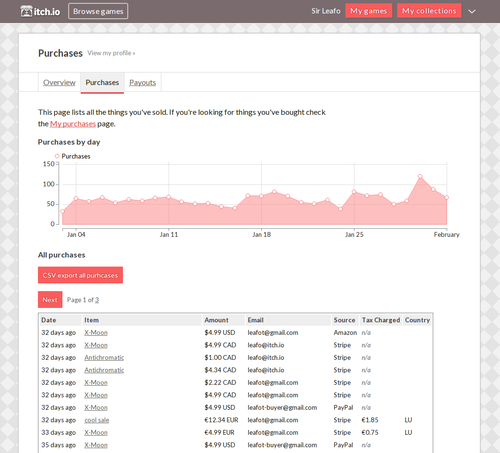 It includes a table of all the purchases in addition to a graph of purchases by day. From this page you can also generate a CSV export of every purchase on your account.